Mobile phones, in the present world, have acquired a whole new meaning with their versatility, usability and omnipotence. Over the last half of the decade, consumers have grown more and more dependent on smart-phones, the new avatar of cell phones, for the number of advantages and conveniences they offer. You can carry your world in your pocket wherever you go if you have a smart-phone. One of the leading players in the smart-phone market of India is Samsung. It is a Korean company who has been proving a-class electronics and IT solution to the world for more than half a century. Their latest launch is the Samsung Galaxy S6. An upgraded version of its predecessor, the S5, the Galaxy S6 comes loaded with a number of exciting features. • Moving on from the S5, this model has a stylish and robust metallic uni-body. It also comes with a glass back. • The phone has a groovy bezel and a curved design for an improved grip. The speaker has been repositioned to the bottom of the phone. 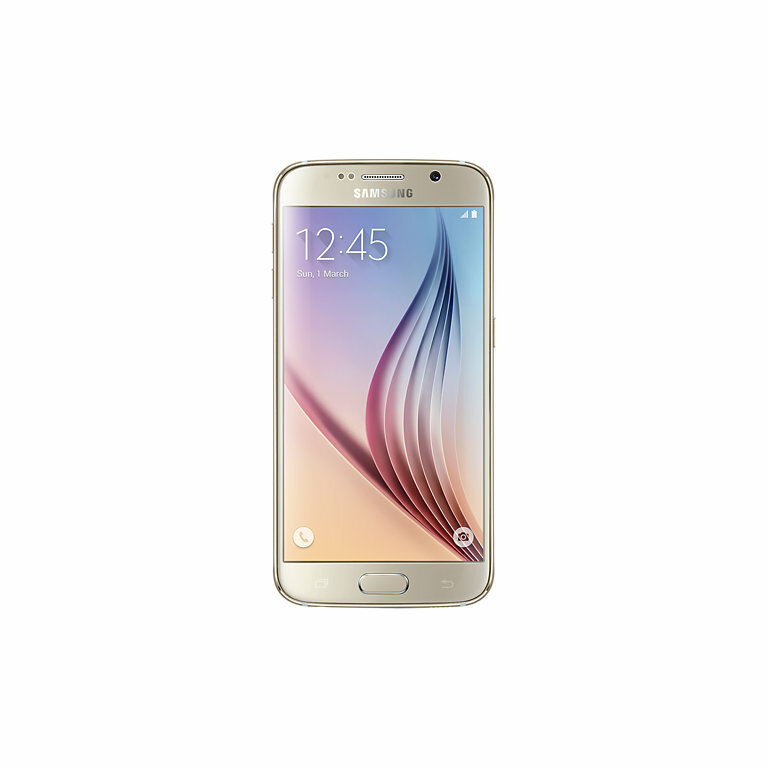 • The Galaxy S6 comes fitted with a high-performance primary camera with 16 Mega Pixels. The camera has useful functionalities such as optical image stabilization, LED flash, auto focus, Geo-tagging, face detection, auto HDR, etc. The phone also has a secondary 5 MP camera on the front for crystal clear selfie clicks and videos. This series of phones have made a mark in the gadget market with their Galaxy series of smart-phones and tablets. Samsung has launched several Galaxy smart-phone and tablet models since 2009-2010. These products have been known for their ace designing, robust built and powerful processing. These phones became a hit as soon as they hit the market and today, Samsung Galaxy is the most trusted brands in the smart-phone and tablets section. Over the years, Samsung has launched several Galaxy phones in various price ranges. • The phone is driven by powerful 64 bit Exynos 7420 chipset. It has an Octa-core processor with four cores each of 2.1 GHz Cortex-A57 and 1.5 GHz Cortex-A53. It has 3 GB RAM and variants with 32 GB, 64 GB and 128 GB internal storage memory. • The Samsung Galaxy S6 comes loaded with the latest Android operating system, version 5.0.2 Lollipop. It uses the user interface suite of TouchWiz. • The device comes bundled with utility apps like Skype, OneDrive and OneNote, etc. The touch screen is capacitated by patented AMOLED display with sixteen million colors. Whether the mid-range phones or the high-end ones, Samsung phones have been the most popular and trusted brand of smart-phones in India for the last couple of years. The Galaxy s6 by Samsung is the company’s latest gift to the Indian mobile phone market of India. With its superb looks, and powerful, along with versatile features, this phone is a must have for a consumer who wants to stay updated as far as his gadgets are concerned, and wants to own the best and the latest products out there in the market.